Happy Birthday Digit-al Dozen, part two! This is my second look for our theme this month, and while I was going for some fireworks I'm not quite sure I was successful... 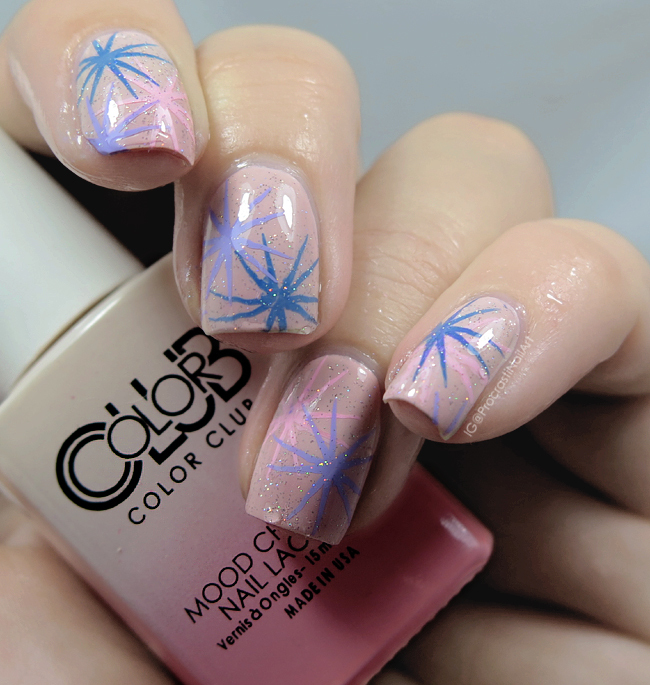 But you can ignore that, because the fact I did my stamping over a thermal makes up for it, right?! RIGHT?! Haha. 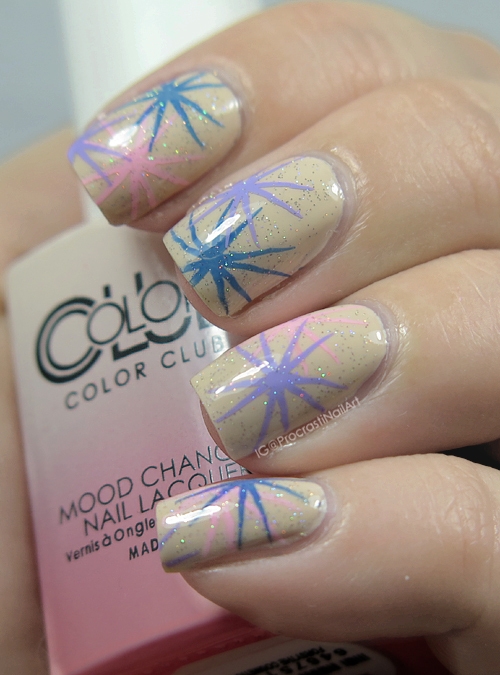 My base is one of the Color Club Mood Changing themal polishes (sent to me ever-so-kindly by Trade Secrets - swatches of the full TWELVE piece line coming up next week!) named Old Soul. It's pale peach when it's warm, and turns a light pink when cool. I have some shots of it in the cool version below! Here's the pretty soft pink that it turns to when your fingers are cool (or dipped in freezing cold ice cube water, haha). The fireworks design is super pretty. These are fun and I love the change! 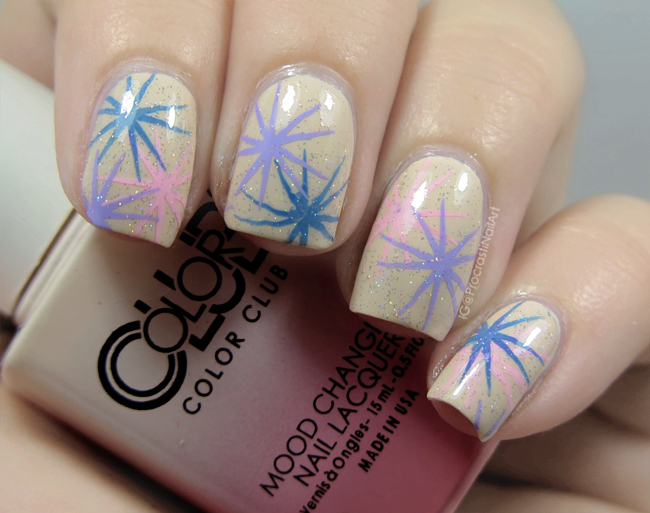 I really love the pastel fireworks, like fireworks for fairies! I love the addition of the extra sparkle! <3 These are fantastic! 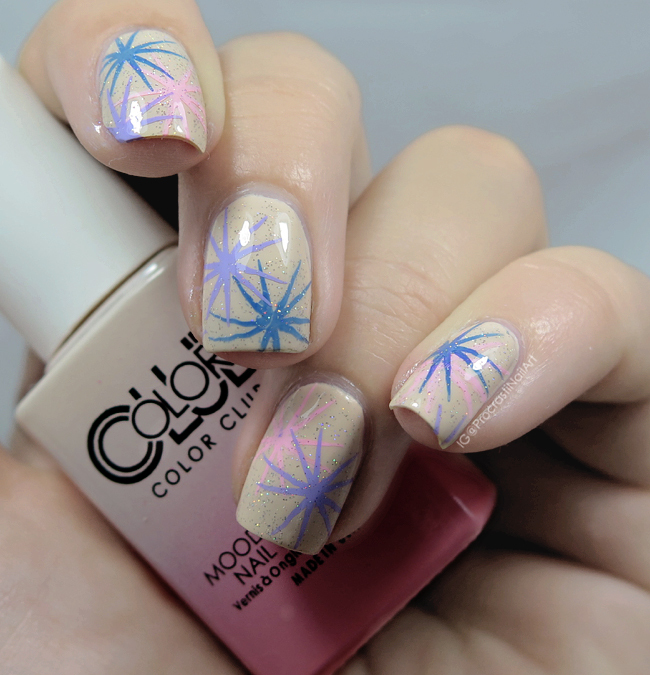 I really like that stamping image! Ohh, these are so fun!! I love the addition of Fairy Dust!